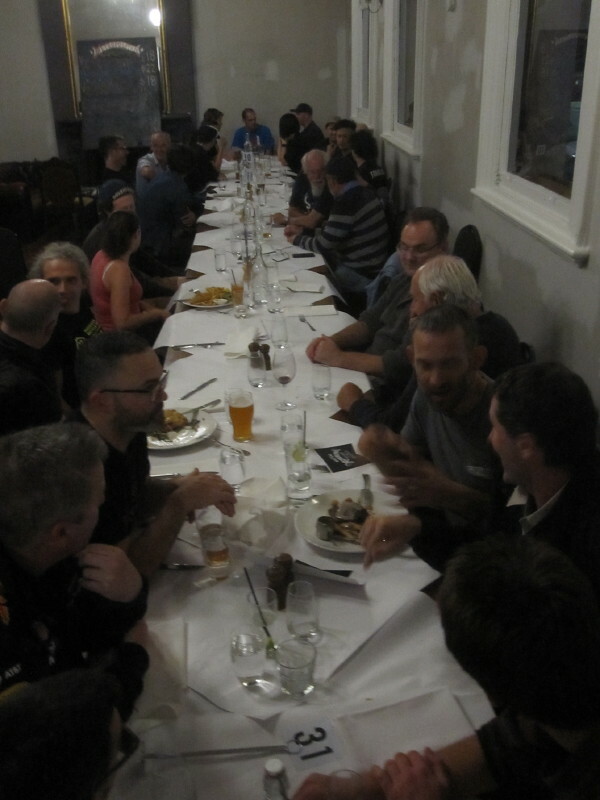 just the builder to meet and chew the fat over with a fine beer or wine in the hand along with good food. There is a complete and deliberate absence of tacky show booth ware fare along with the log cabin erections and cyclo cross mud dioramas nonsense. Last years gig was the best bike show I have ever attended. 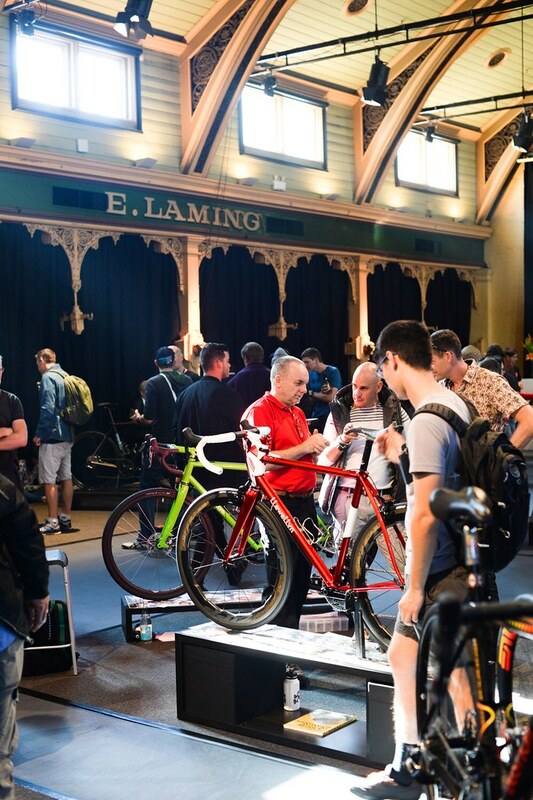 This year is twice as big, more builders, some from the US and also the parts mobs are exhibiting, however they are neatly and pleasantly corralled into their own section on the cobbles. Nathan and Michael know how to run a good gig. Say hello to MAM and Dazza. Moved to the Events forum. Too far for me to attend, but hopefully the show gets a good turnout. I'm using Anzac Day to have a four day longweekend and hence will be away and miss the show. It was a great show last year and a pretty cool venue. Hope it goes well. If only it wasn't slap bang in the middle of vintage: I can't even attend, let alone exhibit. 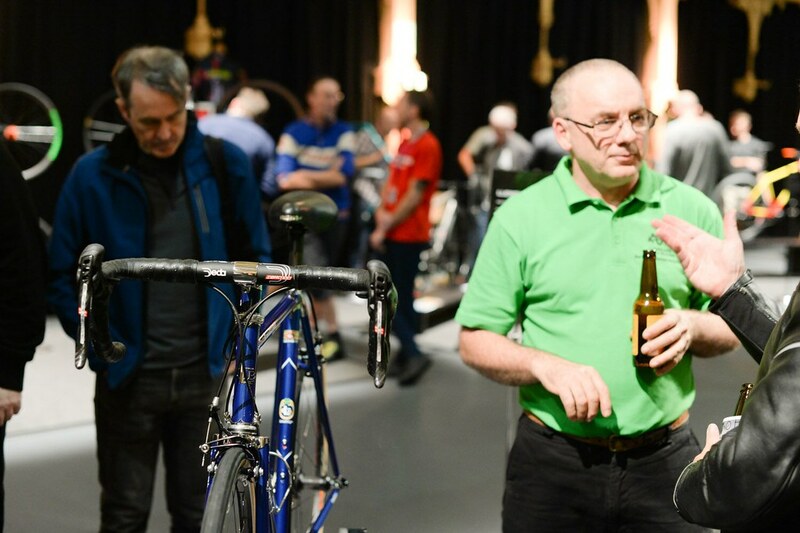 Hey Dazza, make a pitch for me: tell the organisers if they make it a few weeks later next year I'll provide the wine as well as some bikes. Give me enough notice and I can provide the beer too. I'm using Anzac Day to have a four day long weekend and hence will be away and miss the show. 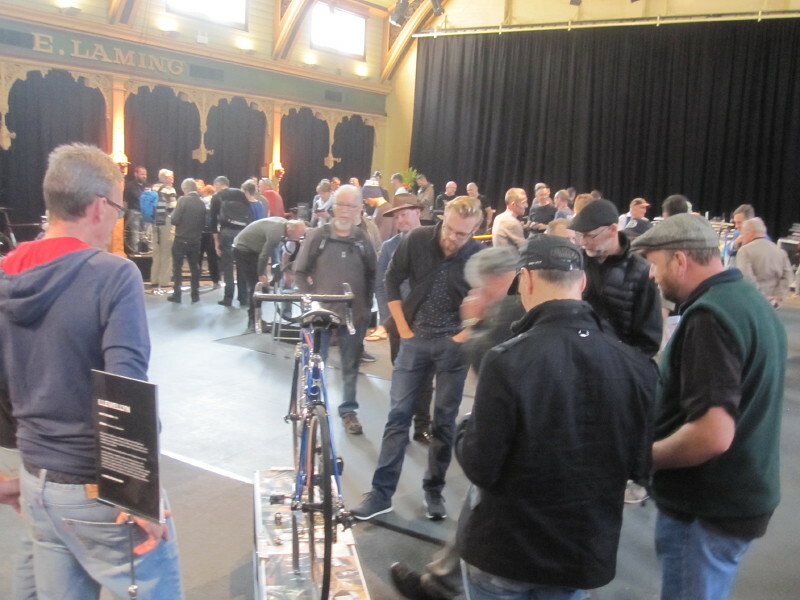 From the very start when Ewen Gellie made the connection with Nathon and Michael the discussion between us all was to avoid the dogs breakfast that hand made bike shows have become. To bring all the bikes to the same level of environment was important. It is about the bikes, not the builder's mates carpentry skills or how many wheel barrows of dirt that can be wheeled and piled into a booth space. 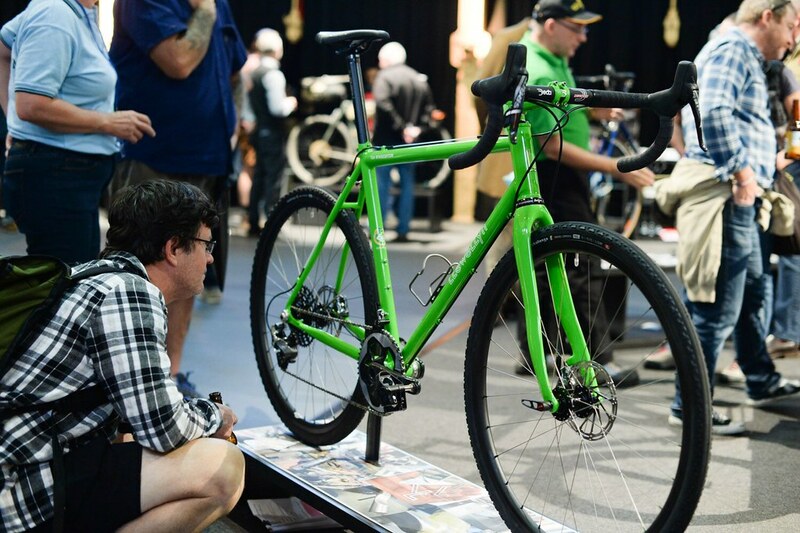 My last NAHBS in 2010 told me that that usual format was breaking down, no one is thinking about how it is not working or working, to many of us it was not the right path for this niche caper. Some meetings, dinner discussions, Nathan and Michael understood and appreciated the reason of this simple gallery style format. 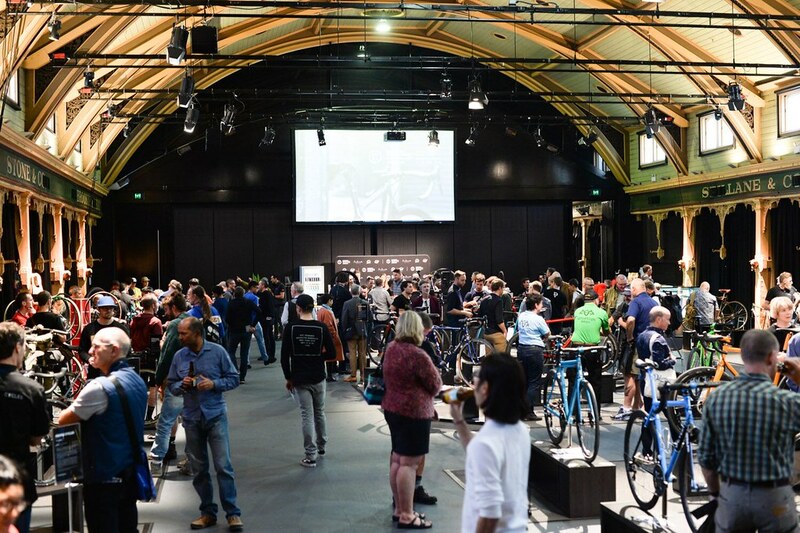 The result was the ambience in the venue (The Old Melbourne Meat Market) was terrific. 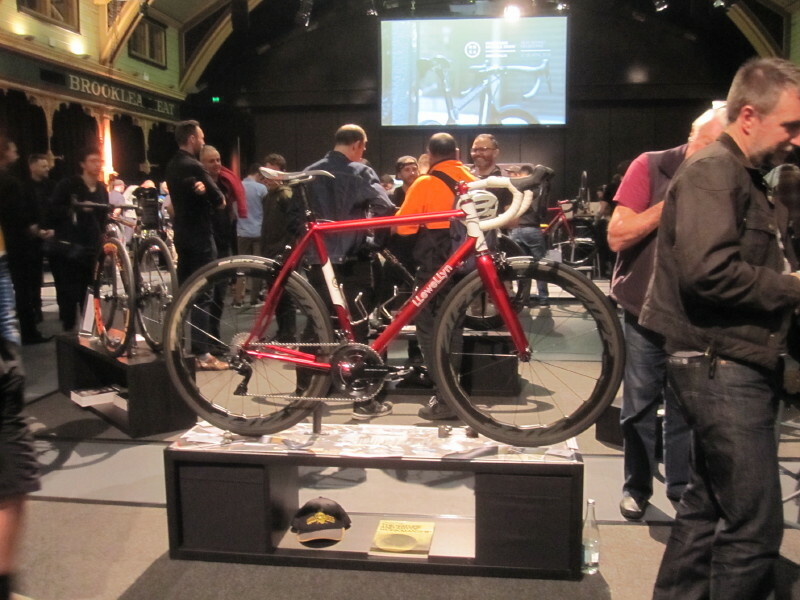 There are no distractions, it was about look, see and absorb the bikes, chin wags with the maker. It works oh so sweet. Richie, I hope next year you can fly down and bring a bike or two. That is what makes it so easy, just bring the bike. Saturday night the pub next door to the venue is booked and the exhibitors and punters get together. I got up to take the pic so as to capture the vibe.